Uscreen: Add LiveChat to your Uscreen website! Communicate with your Uscreen visitors and buyers with LiveChat and sell videos using real-time conversations. 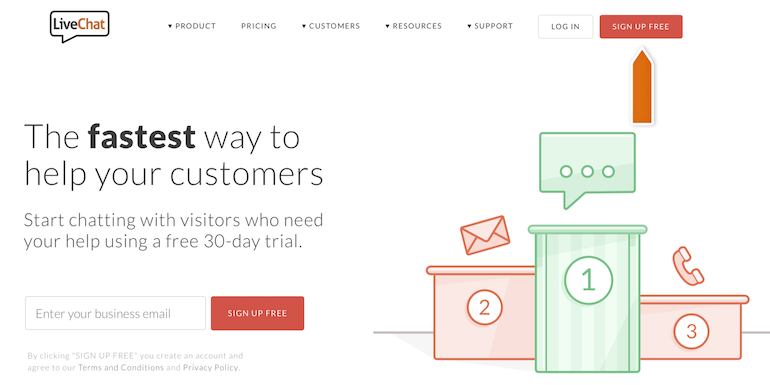 Set up automated greetings to reach out to your users right when they’re looking for your product. 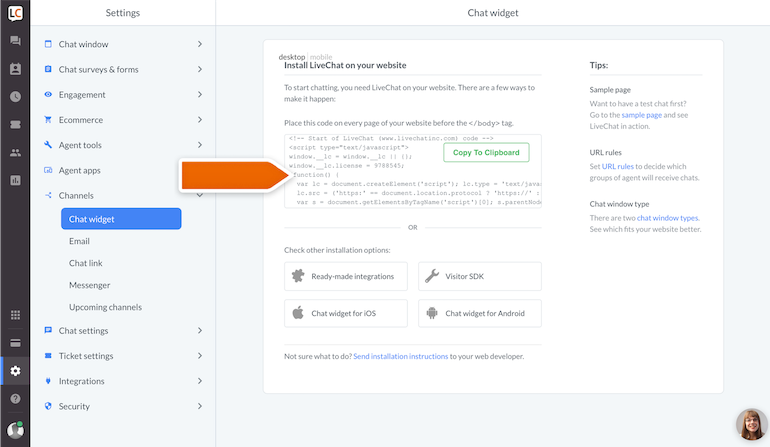 First, Log into or set up your account at LiveChat. You can use a 30-day free trial to test it. 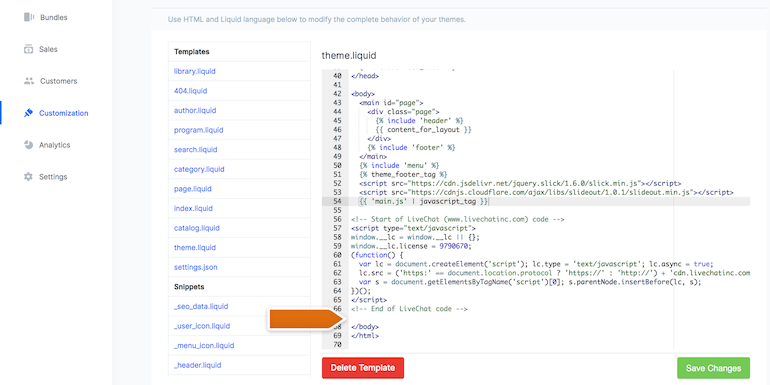 Copy the piece of code from your LiveChat account located in Chat widget section (CMD+C for Mac or CTRL+C for Windows). 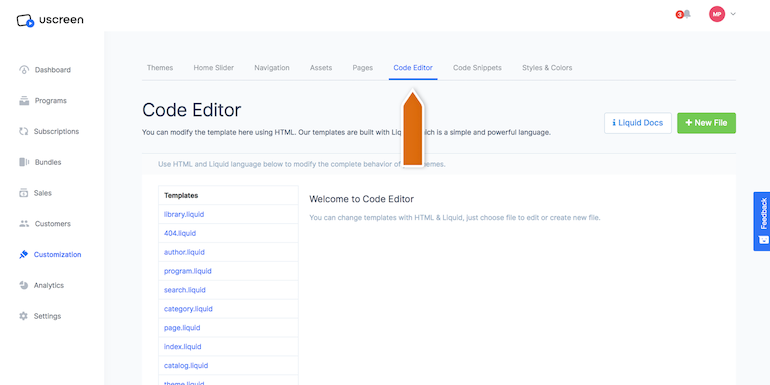 Log in to your Uscreen account and go to Customization -> Code Editor section. 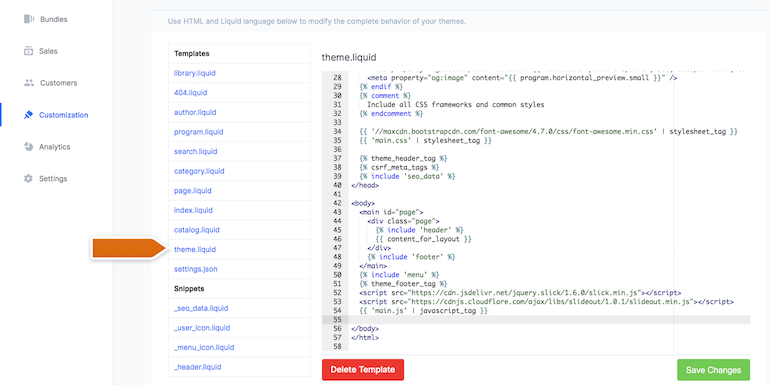 Click on the theme.liquid template to start editing the code. tag and click the green button Save changes. Enjoy the live chat installed on your Uscreen pages. Done! 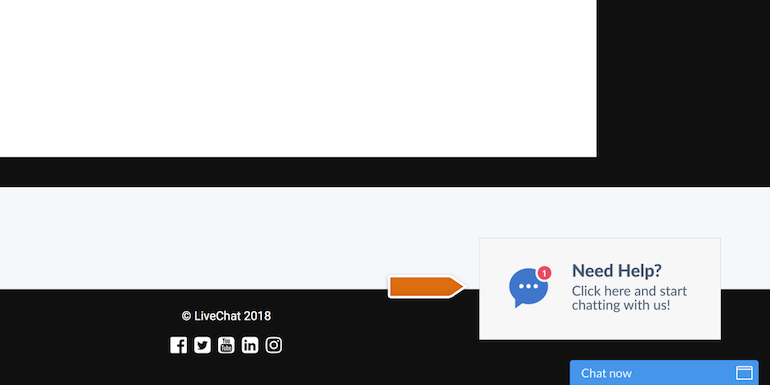 You have just installed LiveChat on your Uscreen page. To start chatting with your page visitors, login to the LiveChat web app or download a dedicated desktop application. Now, you can set-up automated greetings or sell your video products through real-time online conversations.